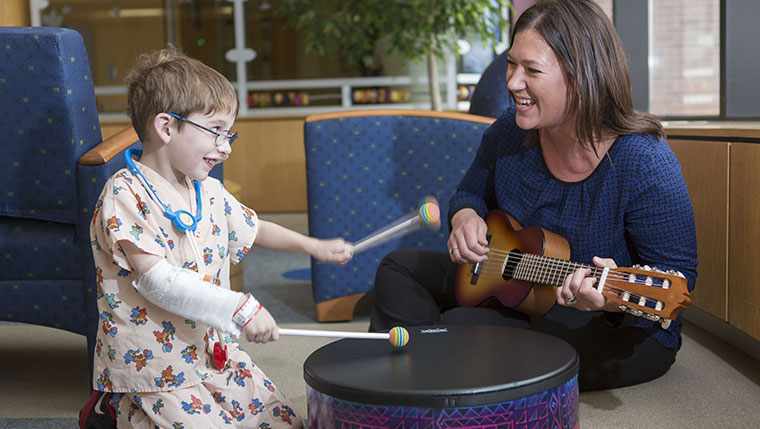 “It’s very humbling to be able to bring joy and hope to patients and families through music,” Wood says. And we’re guessing those patients are happy enough to see her carting musical instruments rather than more medical instruments. 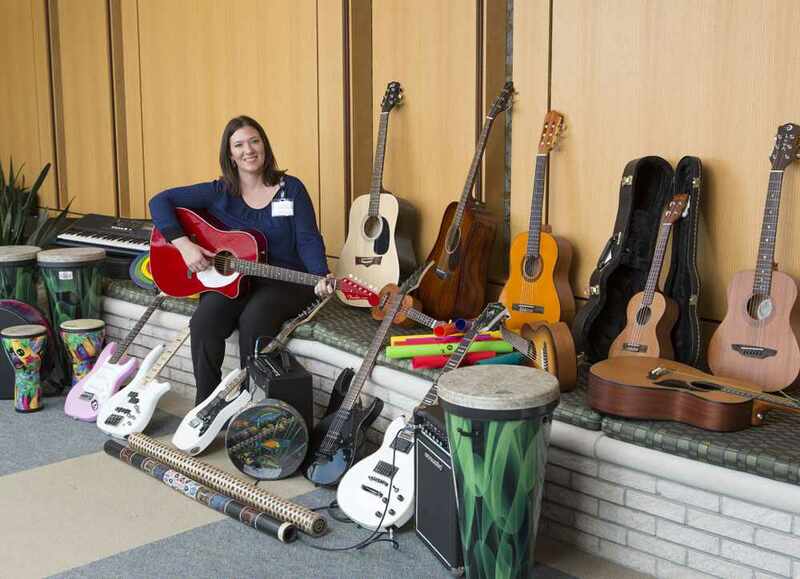 “I almost always have my guitar with me while working with patients,” she says. One moment, she might be working with an infant to promote “self-regulation.” Another, helping toddlers make sense of their medical environment or helping older kids learn better pain-management skills. Whatever the situation, there’s a key for that. Thanks to a recent donation from Blue Star Connection, Wood and her patients have more musical instruments to choose from than ever. The organization made a donation to Mayo’s ComPASS program, which provides supportive care to infants, children and teenagers with life-threatening and life-limiting illnesses. Christina says she even convinced a few good-natured medical residents to serve as “back-up dancers” for one song, which she says helped put the whole thing over the top. “To see this patient want to thank staff for the care they provided by sharing his love for music was very moving,” she says. And that strikes a major chord with us. Hit a high note by sharing your comments below and by sharing this story with others.